Drudge report is a popular platform in the US that collects all kinds of news from different sources. The thing has become popular due to a simple design and quite a controversial content. For example, it gives support to American President Donald Trump. In general, the website represents a frequently updated newsletter with right-wing inclination. In the list below, we’ve gathered together sources that are similar to Drudge Report. Apparently, the Drudge Report app has been removed from all the platforms including Android, iOS, Windows. So why not consider the alternatives? Regardless of where you belong to in the political specter, you’ll surely find the apps below somewhat useful! 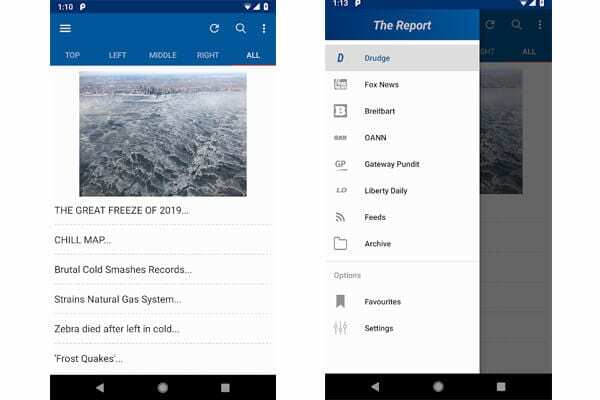 This Conservative News app for Android consists of the news extracted from such sources as Drudge Report, Fox News, The Weekly Standard, Townhall, and more. With this app, you can get quick and easy access to all the news magazines and periodicals associated with politics. 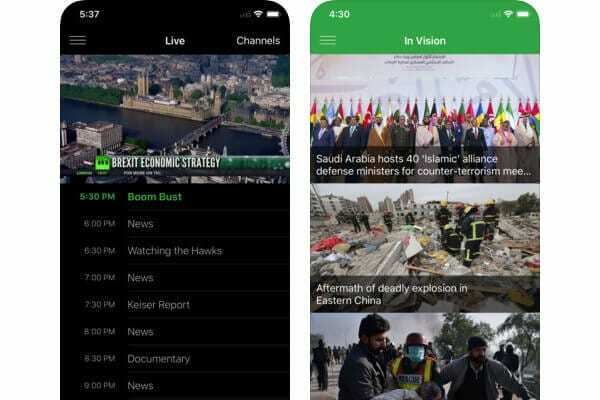 The app can send you notifications and make you aware of breaking news if you want to. The design is quite simple – anyone can figure out how this app works. In order to refresh the feed, all you need to do is pull down. There are some ads, but if you really need to, you can find an ad-free version of this app on Google Play. All in all, this app will definitely provide you with a thought for the day. A nice alternative to Drudge Report for Android. 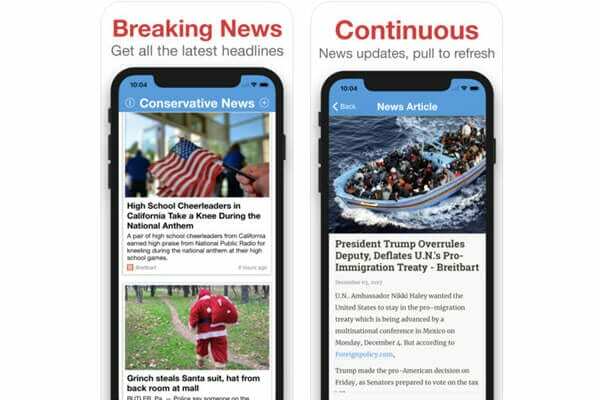 There is a Conservative News app for iOS as well. It is a bit different but the gist is the same. Wall Street Journal, Weekly Standard, Red State, and many other magazines can be found in this app. You can turn all of them on and off depending on your preferences. Choose your favorite conservative sources and read the most personalized feed created just for you. In short, this is a news reader that keeps you updated on all the recent events. Get it now and always be aware of what is going on in politics, entertainment, sports, and more. 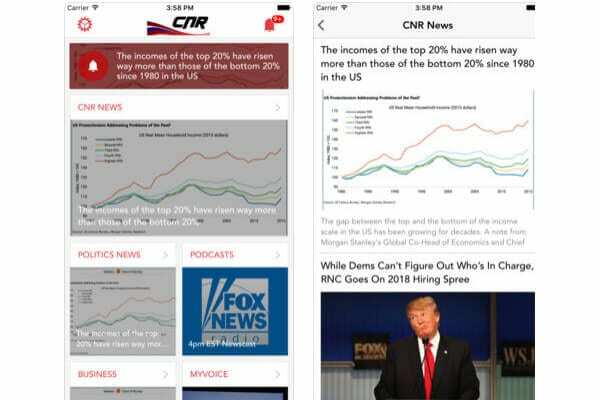 Conservative News Reader is one more app for iOS. This one was also available on Android however we haven’t managed to open it. 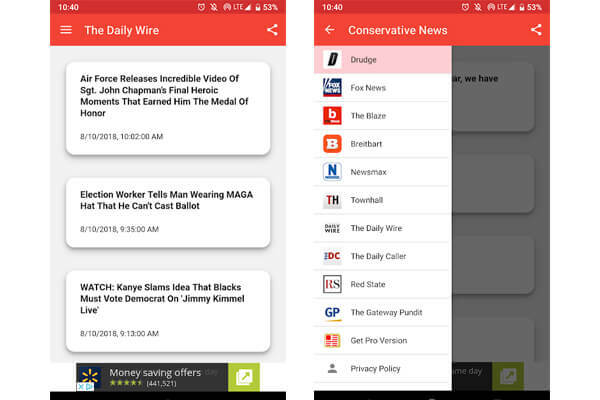 Probably it is time somebody did a research on this topic – why the hell do they remove conservative news apps? How do we create a constructive dialogue when the sides don’t want to listen to each other? Anyways, the app provides you with insights on Republican Party news, election campaigns, presidential cabinet picks, and more. There is also licensed content from right-wing magazines such as Townhall. In sum, this is a good source for all the conservatives and all the people interested in politics. Seriously, somebody should do that research. Breitbart is a well-known website that can be considered ultra-right. We don’t support the news and information that is being posted there, however, the source is worth contemplation. It has gained a wicked reputation because of the promotion of racist, xenophobic and hateful views on the society. No nation is supreme and there are no conspiracies. That is what we think! You can think otherwise. In any case, this app contains some useful info as well. Be critical to the information you consume but don’t forget to expose yourself to the opposing views! Yes, that’s why Breitbart is here. FoxNews is for fair and balanced news. It is the main channel of information in the USA – at least according to the number of its viewers. The channel’s staff states: “We report. You decide”. Nevertheless, many people have noticed that it is closer to the GOP than to Democrats. 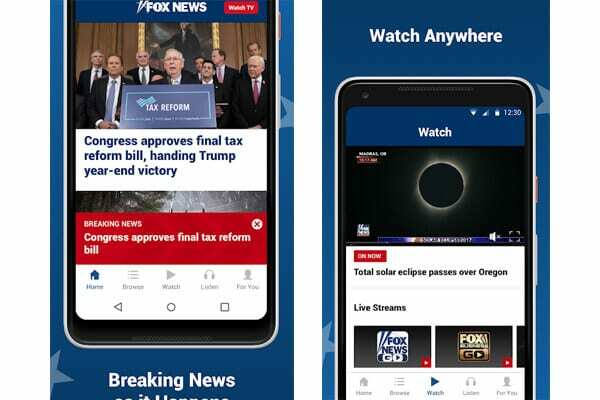 The app allows you to watch, listen to and read Fox news anytime, no matter where you are. Just download the app and enjoy having a nice news reader in your pocket! This app is for all people, right and left, Republicans and Democrats – literally everyone! Feedly is a simple and easy-to-use reader that lets you follow the news and the sources you are interested in. 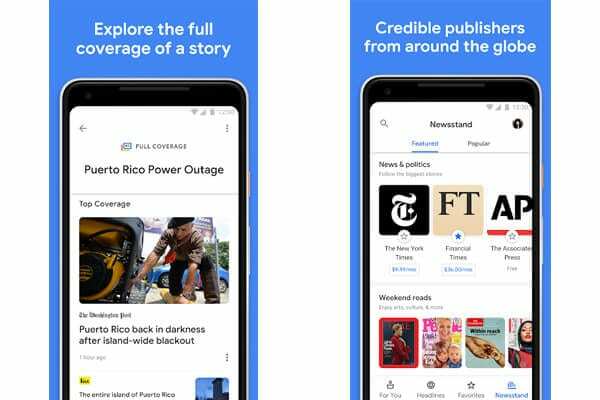 It works in an interesting way: first, you choose what sources and hashtags to follow and then the app creates a special feed for you that you can read piece by piece. It looks awesome, it feels awesome and it is very informative! For example, you can add that drudge report website and read all the freshest news that it offers to you. The app is absolutely free, although there are some ads which can be deleted by buying a pro version. All in all, this is a nice alternative to the drudge report because it is more than the drudge report. In fact, you can follow all kinds of news and form your own opinion on any issue that bothers you. Happy reading! Google News is very similar to Feedly. It has a different design and such column as ‘popular’ (5 most popular news pieces), but, as for the rest, everything is the same. You can find the sources you want to follow and get daily briefings based on your choices. What is more, it is possible to read the full coverage of a story. Pick up an event you are interested in and get all the information about it from the most credible publishers. In sum, Google news is one more news reader that will help you stay updated! The Report is one more news reader that is made only for the right wing users. If you are left or middle, you can also check it out – we all need to be aware of the frameworks we put on our thinking. 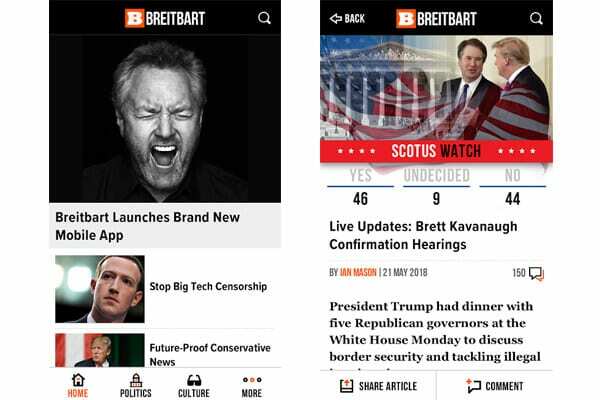 The app has such sources as the already mentioned FoxNews, Breitbart, Drudge. There are also some other less popular sources of information. The news is shown is a very practical and convenient way. The information is divided into tabs. There are special pages. In general, the interface is clear and nice to look at. The app functions both on smartphones and tablets. It is easy to share the news with it. You can use ‘share’ buttons to send information to your friends’ feeds via Twitter, FB, Tumblr, Blogger, email, and more. The settings of the app will allow you to customize the interface for the most comfortable reading. So, get the app and start reading the news! SmartNews is a great alternative to Feedly and Google News. It is enjoyed by millions of users all over the world. The app brings a pleasurable reading experience. The interface is clear and divided into sections. In an ad-free more, all the articles that we have to read with ads in a normal online mode turn into clear texts that can be read without any distractions. 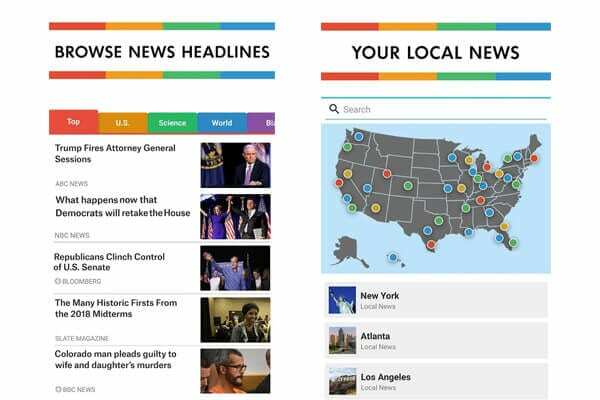 You can check out your local news, world news, news about politics, and more. The app allows you to follow the sources from all the sides, meaning you can get a balanced, well-thought view on any event or circumstance. 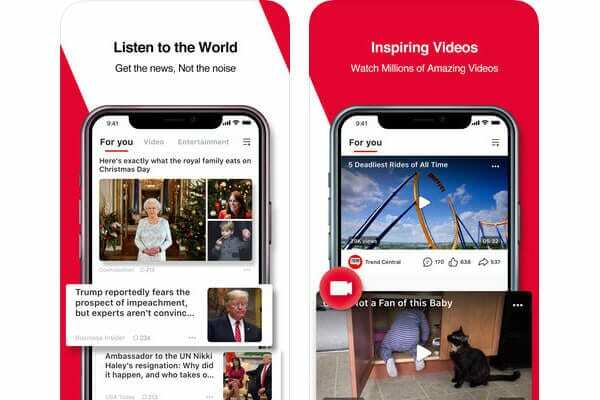 Download this wonderful SmartNews app right now! This is definitely the app worth having – especially if you are not satisfied with Feedly or Google News. Yet, one more news reader. News Republic unites over 3000 sources – the most famous news outlets from all over the world. You can instantly share the news you like, comment them, or give them a ‘thumbs up’. There are hand-picked reports that cover the most acute issues. You can choose to read any kind of news – Republican, local, world, sports news – whatever you are interested in. Plus, there are videos. These days, images are everything. As they say, a picture is worth a thousand words! In a nutshell, this newsreader is great to use in the US. It has gathered all the approved sources in one place. What more can one wish for? The ads are present – as everywhere. By the way, there are some tricky ways of how you can get rid of ads. Read this article to discover them! Russia Today is quite a controversial source of information. However, it can challenge your thinking! One of the reviewers says: “Russian television has the latitude to investigate those stories for which the mainstream media is unwilling or unable to investigate thoroughly and accurately”. It is not an objective truth, of course (as nothing is), but it is always good to know how different events are covered by different countries, sides, sources, etc. It is a pity that the US government is trying to impose sanctions on such channels. After all, RT doesn’t serve anyone’s agenda. Yes, it was created by Russians and targets English-speaking audience. So what? The news that can be found on RT is mostly international. Sometimes the channel promotes different points of view on the most topical issues. Just like the Drudge Report! It is worth noting that an individual should try to embrace all the views that are out there and figure out for oneself what sounds more rational. If you are leftist, don’t ignore right-wing news. And vice versa – if you are on the right side, pay attention to what the other side is saying. The dialogue is very important. In fact, it is everything. Be flexible! And, of course, be smart in choosing apps.